Automatic water inlet with level detector. Submersible roller tray, movement in 3 positions for reception-dipping-expulsion of the bags. Roller trays at the entrance and exit of bags. 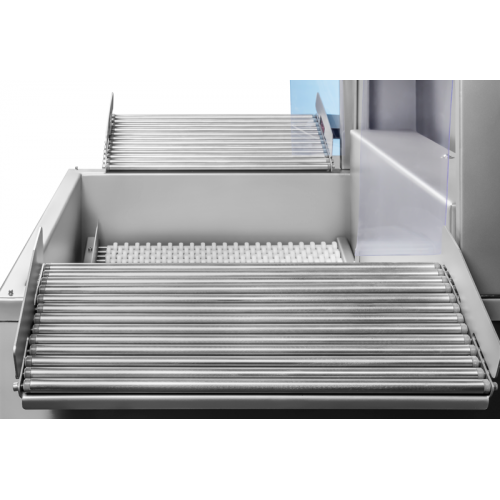 Easily removable inner tray for access to cleaning / maintenance. Programmable water temperature and immersion times. Control panel with 20 editable programs. 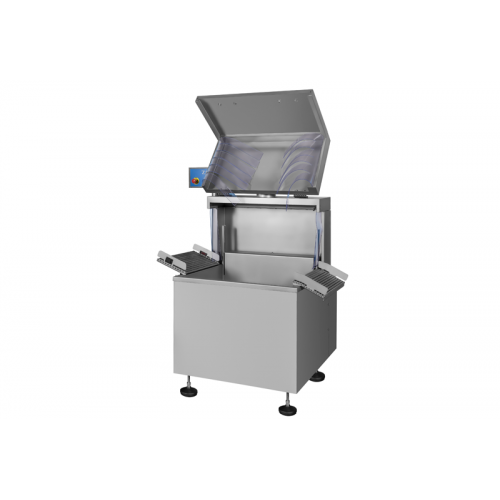 Retractable tank synchronizable with most packaging lines, reception from adjustable packaging machine, and ejection to automatic drying tunnel. 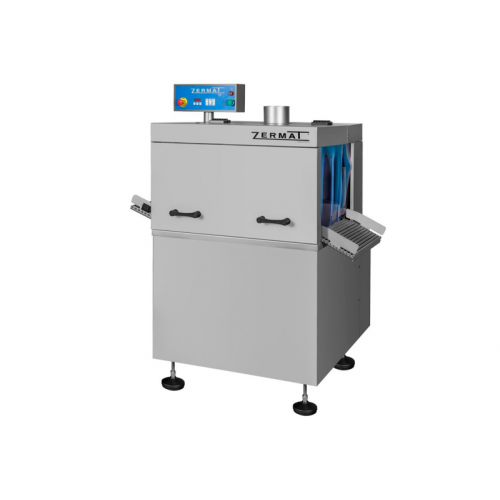 ​Equipment designed for integration into automatic packaging lines. 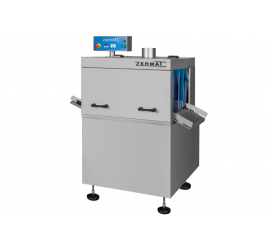 ​For the best adaptation to each production line, the equipment can be produced with the work direction for loading-unloading of the products from right to left (standard) or in the opposite direction. 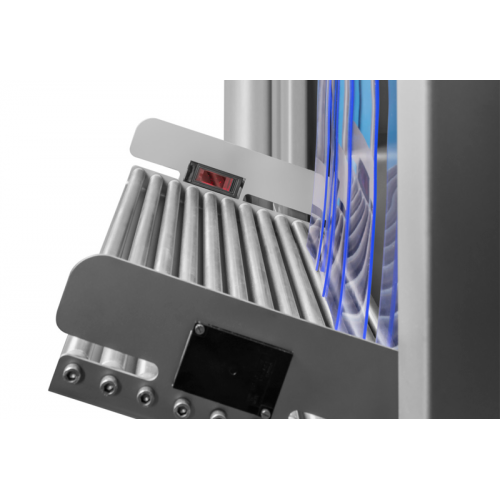 ​Drying system by air knife at room temperature, connected to a high power turbine.